If you run an E-commerce business then you know how challenging it can be to constantly attract new visitors, retain existing customers, and drive sales. One of the most powerful ways you can achieve these goals is by giving out coupon or discount codes to potential customers. Coupon codes are a highly effective promotional tool which can help you draw attention to your online store and encourage purchases. If you use Gleam's suite of apps to create and give out coupon codes then you will also be able to use these discounts to incentivise various other high-value actions which will give your long-term promotional efforts a serious boost. 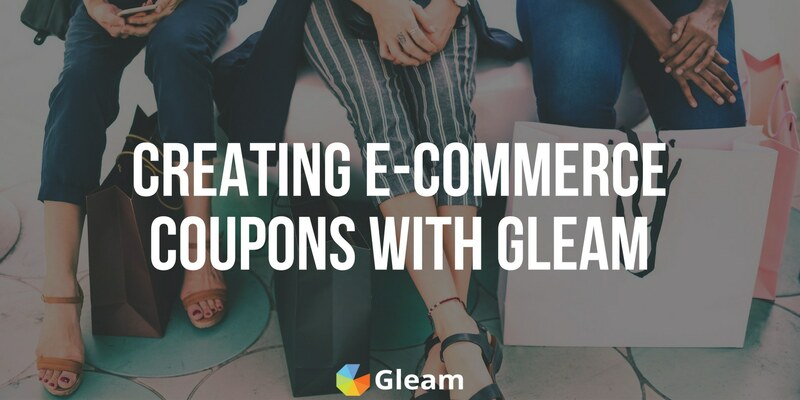 There are numerous ways you can use Gleam to give out coupon codes, and to help you get started with your own successful coupon campaign we're going to take you through each of these methods and show you how you can use them to raise awareness, promote your store and drive a whole lot of sales. With Gleam's Rewards app you can create powerful campaigns which allow you to instantly offer your own coupon codes to users and incentivise a host of actions that will aid your immediate and long-term promotional activities. When you use Gleam's Rewards app to give out coupon codes you will be able to gate the discount codes behind designated redemption methods. This gives you the ability to use your campaign to not only drive sales but also incentivise a wide array of powerful actions. We've put together a few demo Coupon Rewards campaigns to show you a glimpse of what's possible. Using coupons to offer discounts on your products is an incredibly powerful way to drive sales and find new customers. If your sole goal is to drive sales then it's a good idea to keep barriers to entry low and make it as easy as possible for users to claim their coupon codes. The best way to do this is by requiring users to simply sign up with their email address before instantly giving them their coupon code within the widget. This is a highly effective tactic, as it won't only help you give out coupon codes to a wide audience, it will also help you grow you mailing list which is an incredibly valuable resource for any e-commerce business. 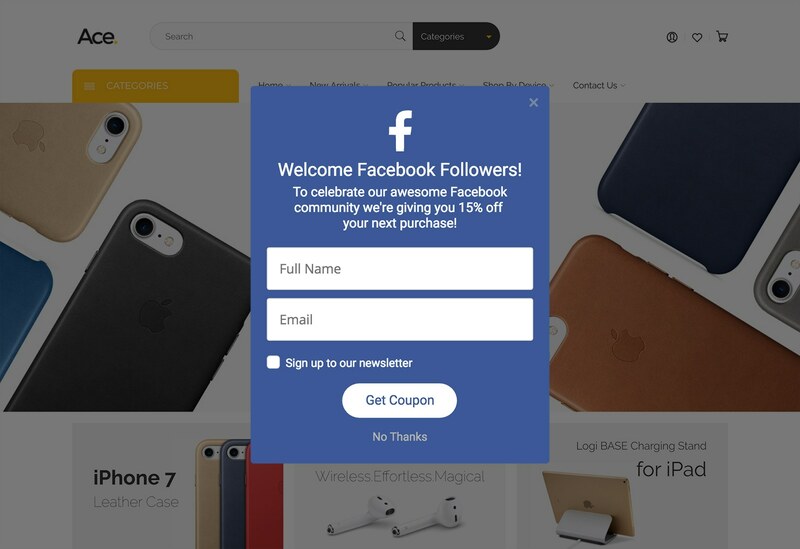 You can use Rewards to grow your online following by giving out coupon codes to users who visit your Facebook or Instagram page or follow you on Twitter. This is a great way to use coupons to grow your social following and give your future promotional efforts a boost. With Gleam you can set the number of actions users must complete before claiming their coupon code, so you can choose to offer discounts to users who visit any of your social channels, or you can require users to check them all out before being rewarded. If you have a particular offering you want to promote then you can use coupon codes to incentivise users to check out your promotional material, and even share it with their own social circles. This is a fantastic way to promote a new product, a store-wide sale or even the coupon campaign itself. You can also use this type of Rewards campaign to get users to view a particular Facebook or Instagram post. A particularly effective way you can use coupon codes to drive as many sales as you can is by running a Refer-a-Friend Reward campaign which offers coupons to users who successfully refer their friends to the campaign. This will create a viral loop effect where users are continuously referring friends and earning discount codes, allowing you to share your discounts with a huge audience and drive a whole lot of sales. Get step by step instructions on creating awesomely engaging refer-a-friend rewards right here. When it comes to earning consumer trust and encouraging purchases there isn't much that's more powerful than positive customer reviews. You can use coupons to generate positive word of mouth and reward your customers by using Gleam's Submit URL Action to give out coupon codes to users who leave reviews on any platform of your choosing. 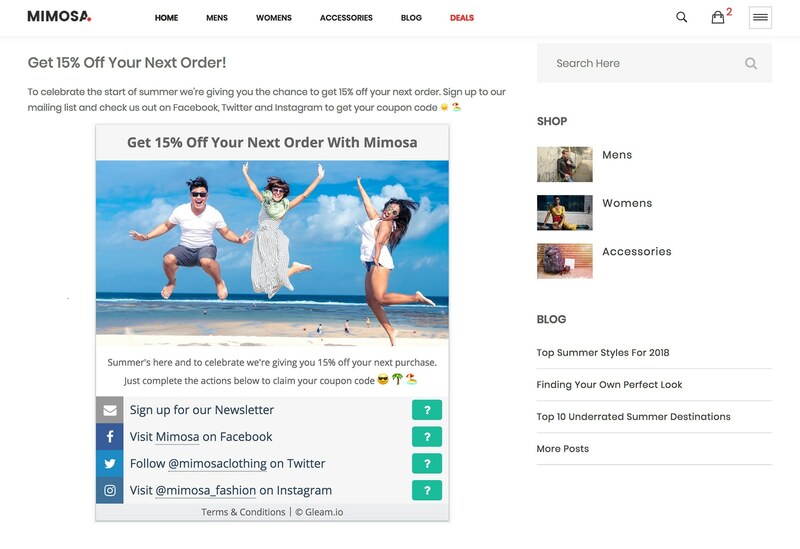 The best way to implement this campaign and encourage entry is by embedding the Rewards widget on your post-checkout page or emailing customers a link to your Rewards campaign once they've received their product. Giving out coupons to users immediately after they've made a purchase is a fantastic strategy for customer retention. By offering discounts on future purchases to customers you will be able to drive future purchases and cultivate brand loyalty. Plus, you can use these coupons to incentivise email signups and social media follows. This will allow you to populate your online following with highly relevant users who have already shown a keen interest in your brand and are likely to be interesting in your future offerings and promotions. The best way to implement this campaign and encourage entry is by embedding the Rewards widget on your post checkout page. Collecting and displaying photos of your customers enjoying your products is a highly effective way to earn consumer trust and promote your offerings in a highly engaging and relatable way. You can easily source this type of high-value content by offering coupons to customers who provide you with images showcasing your offerings. With Gleam you can also create multi-tiered Rewards which allow users to complete various actions to earn increasingly valuable rewards. Offering a selection of rewards ranging in value gives you the perfect opportunity to incentivise an array of both simple and advanced actions. For example you can offer a small reward to users who visit your website or social media channels, but require them to complete higher value actions such as watching a product video or submitting UGC if they want to earn bigger rewards. When you create your own Coupon Rewards campaign you can mix and match any of these actions to create a campaign that is perfectly suited to your business and goals. Gleam also offers an array of other actions that can help you reach your objectives. When deciding on redemption methods you will need to choose how many actions users must complete before receiving their coupon code. This is all about striking a balance between getting the most of your coupon codes and encouraging as much participation as possible. As a general rule, the greater the discount you offer the more you can ask for in return, but you never want to make users complete more than a few actions as this can lead to a drop-off in participation. Setting up a Coupon Rewards campaign with Gleam is a straightforward task. You essentially just need to choose your redemption methods, create your reward (and enter your coupon codes), add your own images for some visual flair and you're good to go. Once you've got your Coupon campaign up and running you'll need to install it in your website and start promoting it. Embedding your Coupon Rewards campaign directly into your website is an outstanding way to encourage entry from highly interested website visitors whilst also storing your campaign in a page which you can easily link to via social media, emails, or anywhere else. Creating a dedicated page for your campaign is generally a good idea as it will help draw attention to the promotion and give you an easily identifiable link to share. Check out how our widgets will look on your website here and learn all about how you can easily install it. 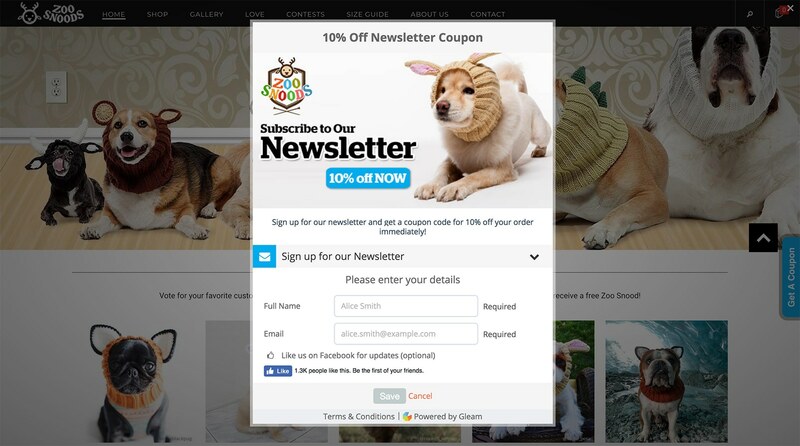 Running your Coupon Rewards Campaign in a popup tab on your website is the best way to encourage participation and drive immediate sales for website visitors. When users visit a particular page. When users click a button. When users enter a page using a hashtag trigger e.g. https://yoursite.com#coupon. This gives you the ability to share links to your website which will trigger the campaign. When users show exit intent. 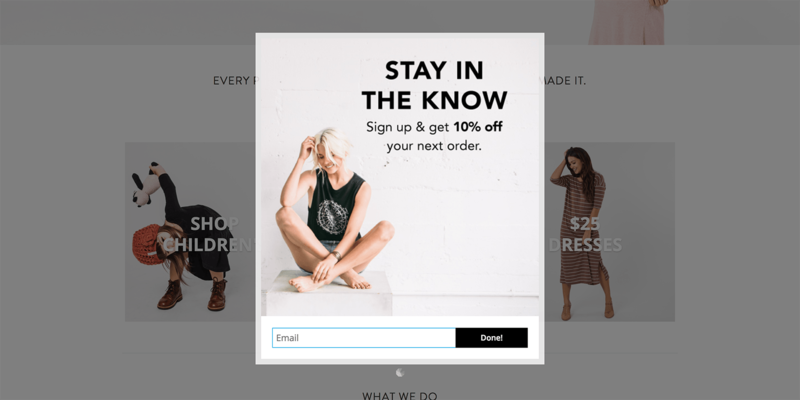 This approach is a fantastic way to offer coupons to users who are about to leave your site and drive sales from customers who would have otherwise left without a purchase. Learn all about creating a tab to show off your next campaign and installing it on your website. Remember, you do have the ability to embed your campaign in multiple locations, so you can opt to use both installation methods. Sharing and promoting your Coupon Rewards campaign across all of your social media channels. Sending your mailing list announcement and reminder emails about your promotion. Using any content you produce such as blogs and videos to promote the campaign. Ready To Run A Rewards Campaign? 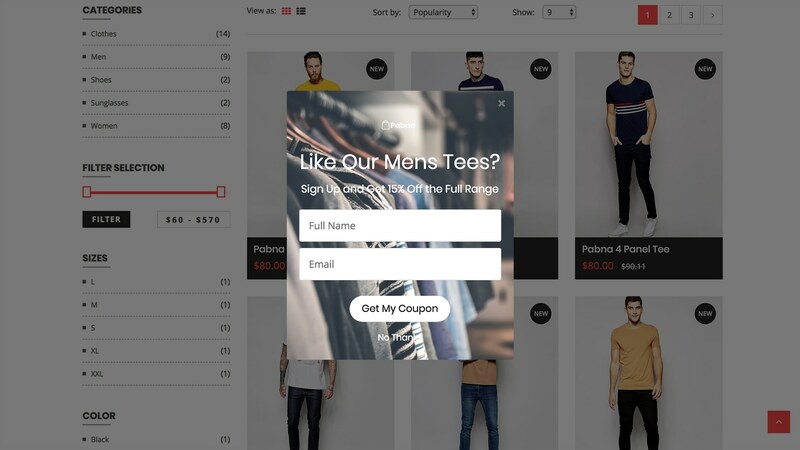 Using Gleam's Capture app you can create highly targeted popups which offer instant coupon codes to users who sign up with their email address. This is an outstanding way to not only give website visitors some extra incentive to make a purchase, but also grow your mailing list and give your email marketing a huge leg-up. 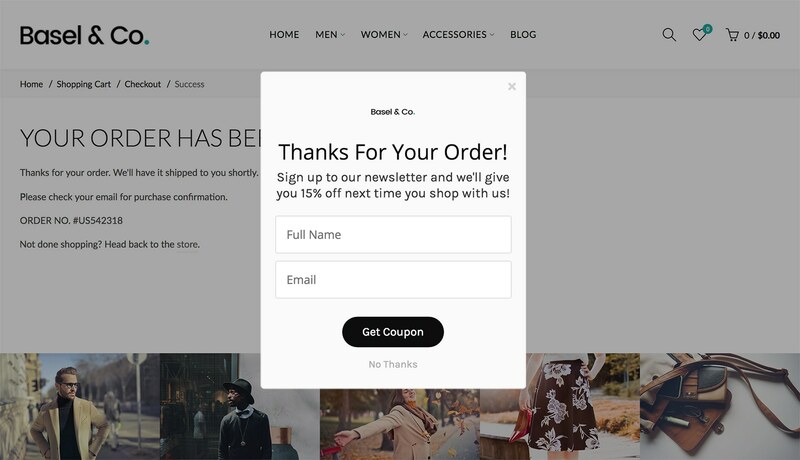 Offering visitors a coupon code as soon as they enter your website is a stellar way to capture emails and put users in a buying mindset from the moment they arrive at your store. Using Gleam's behavioural rules you can create a Capture that is triggered every time someone visits your website for the first time. This is a terrific way to instantly capture your audience's attention and convert leads. 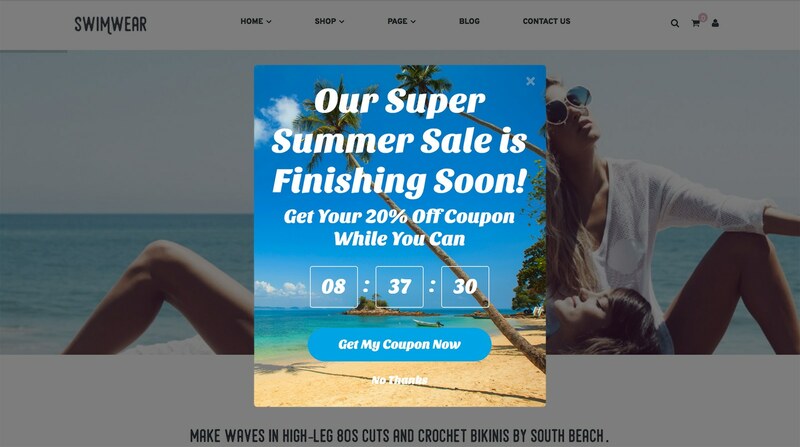 If you want to add a bit of urgency to your coupon then you can use the Countdown template to offer website visitors a time-sensitive offer which they aren't likely to ignore. If you have a specific product which you are trying to promote then you should try using Gleam's Current URL rule to offer product-specific coupon codes to visitors who visit a page relevant to the product. This is a terrific way to target visitors who have already shown interest in a particular product and drive sales. Offering coupons to customers on your post checkout page is a great way to retain customers and promote brand loyalty. By offering coupons to your customers after they make a purchase you will be able to sign them up to your mailing list and give them some extra incentive to make more purchases in the future. This is fantastic for kickstarting loyal consumer relationships and driving long-term sales growth. Find out how you can use post checkout coupons to boost customer retention and drive other actions. If you're running a campaign on a separate platform such as Facebook, Twitter, Instagram or Pinterest then you can welcome visitors that have been referred from these sites with a special offer that will help build a sense of community and convert your online followers into customers. 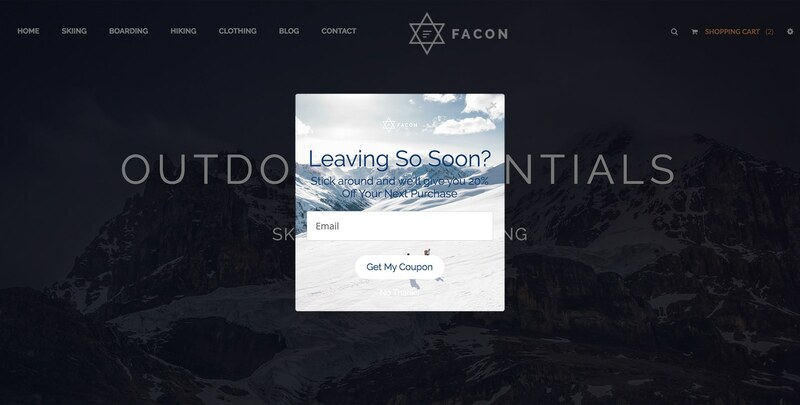 If a visitor is leaving your store without making a purchase you can use Exit Intent Coupons to offer them an attractive incentive to try to win them back. Making your offer that little bit more attractive is often all it takes to win over a potential customer, so Exit Intent Coupons can be incredibly powerful for driving action from users who would have otherwise left your store without any further engagement. 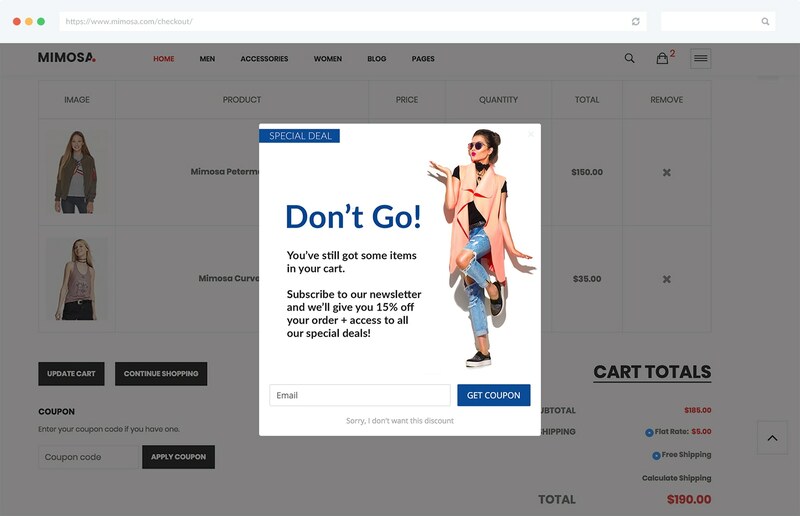 Similarly to Exit Intent Coupons, you can use Abandoned Shopping Cart Coupons to present a discounted offering to users who are about to abandon their shopping cart. If you want to give shoppers an extra boost of encouragement to re-engage then this is the perfect situation to use the Countdown template and add some urgency to your special offer. If you want to offer coupon codes to potential customers in a more nondescript way you should consider using the Bar template. Capture Bars allow you to present website visitors with a constant but subtle offering which will allow you to drive signups and sales without distracting them from the rest of your site. If you opt to use a Capture Bar to distribute your coupons there won't be a dedicated location to store your coupon codes. However, using a Capture Bar to distribute coupons is still an easy task. One of the best ways you can use Capture Bars to distribure coupons is by selecting Display thank you message as your Post-Capture option and include your coupon code in the message. Want to Create Your Own Capture Bar? 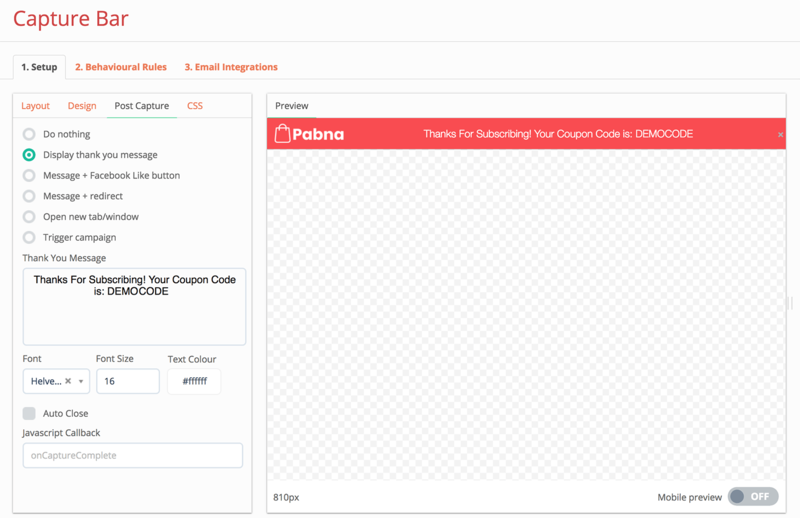 Check out our in-depth guide on using Capture Bars to distribute coupon codes. With Gleam, setting up your own popup coupons is a breeze. You can design your own Capture with our sleek and intuitive system, add your own coupon codes, decide exactly when you want your coupon popups to be triggered and easily integrate your Capture with a breadth of email providers. If you want to generate awareness, engage an audience and drive powerful actions which will help grow your store then you should try running a giveaway with Gleam's Competitions app. When you run a giveaway you will generally give away a grand prize to one or a few randomly selected entrants. 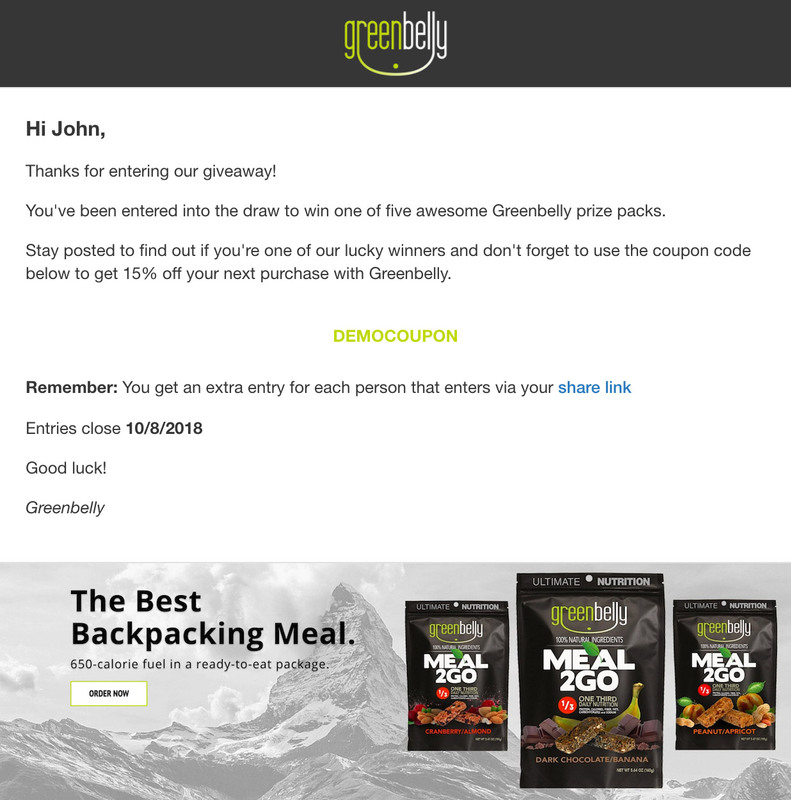 However, if you want to drive additional sales and give potential customers even more of a reason to enter your giveaway then you can give out coupon codes to everybody who enters your campaign. With Gleam, giving out coupon codes to Competition entrants is an easy task which you can handle in two different ways. All you need to do to distribute coupon codes to everyone who enters your competition is create a custom post entry email containing a universal coupon code which all giveaway entrants can use to make a discounted purchase. Then you can then drive further actions from entrants by sending them out a custom confirmation email containing your coupon code. 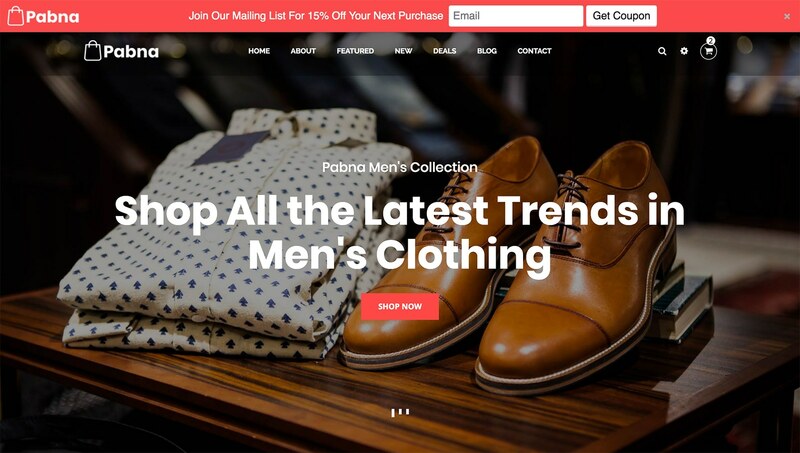 Pairing coupon codes with a giveaway is an outstanding way to make the most of the attention a giveaway can generate and drive sales from users who have already shown a keen interest in your store. Custom Post Entry Emails are available to users on Business plan and above. Another approach you can take to offering discount codes to competition entrants is using our Coupon action. This is a great way to offer participants a discount code from within your competition and convert participants into customers. When you create a coupon action you can use the actions required setting to lock your discount until users have completed a designated number of actions. This allows you to use your coupon code to incentivise the completion of more actions which help you maximise the effectiveness of your campaign.